Creat green spaces at home. 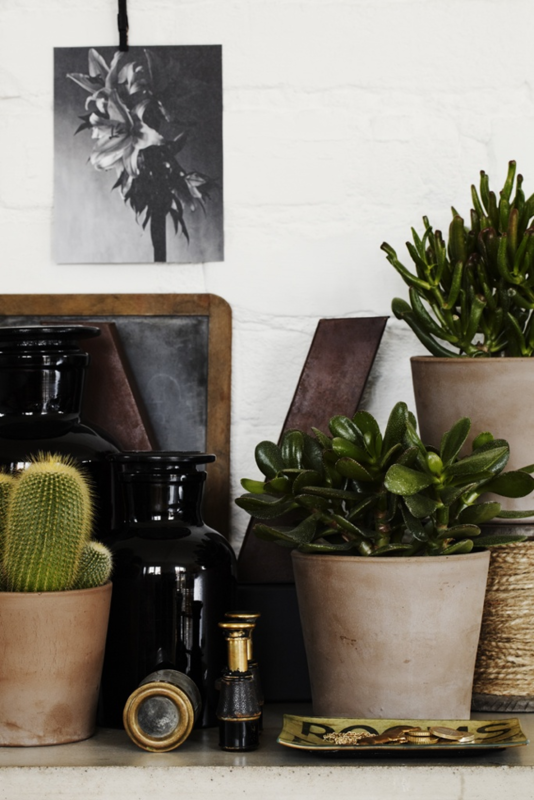 Here are some simple ways of using plants in your home. Cherish nature in your rooms. 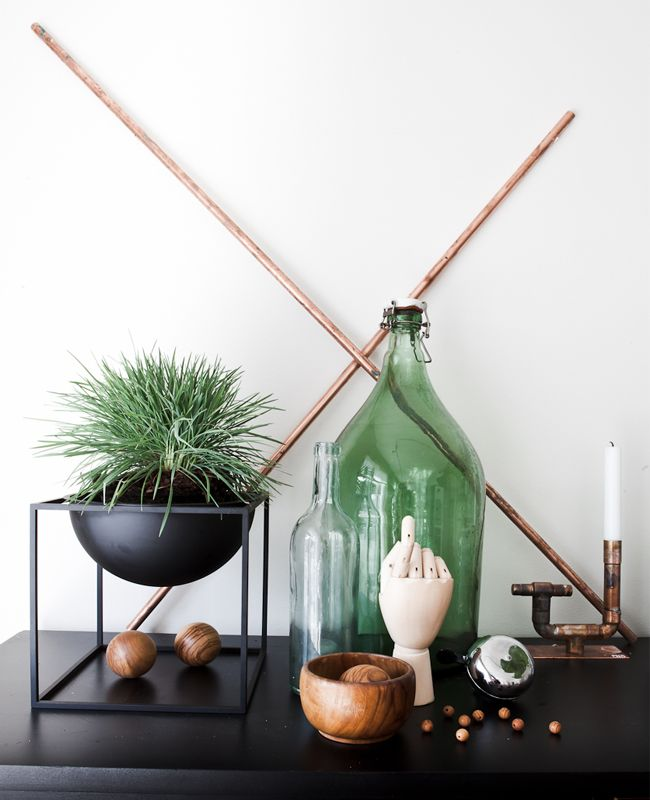 Sometimes the simple things are the best — wine bottles, wooden objects, copper pipes, anatomic hand together with a plant. 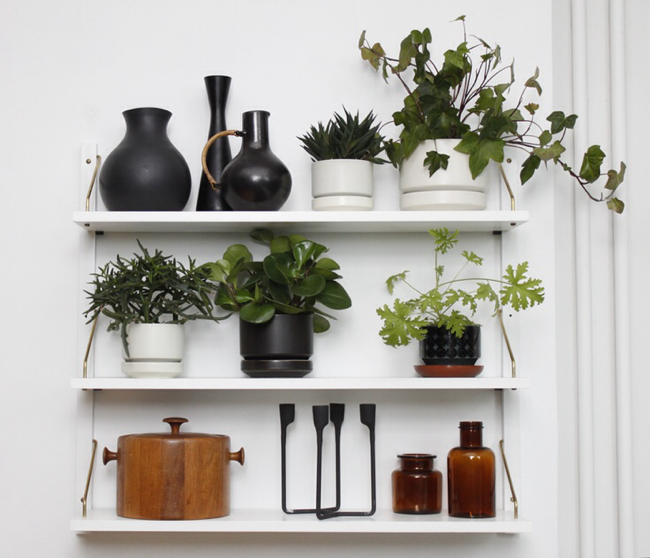 Here you see string shelves and greenery. A still life interior decor with plants in ceramics and pharmacy bottles.